The Technofast FastaJac (Plate Heat Exchanger Bolt Tensioners) is a cost effective means for manufacturers and end users of plate heat exchangers. FastaJac use a lightweight hollow cylinder jack together with the patented Tri-Nut to simultaneously compress plates at a constant, even and efficient rate. The Tri-Nut is designed to fit over the major diameter of the thread until it engages into it’s spherical seat. Then the nut closes onto the thread and the nut is screwed home as normal. By removing the need for “running down” the tensioner retaining nut over the full length of the thread, the fitting and removal of tools becomes much quicker exercise. 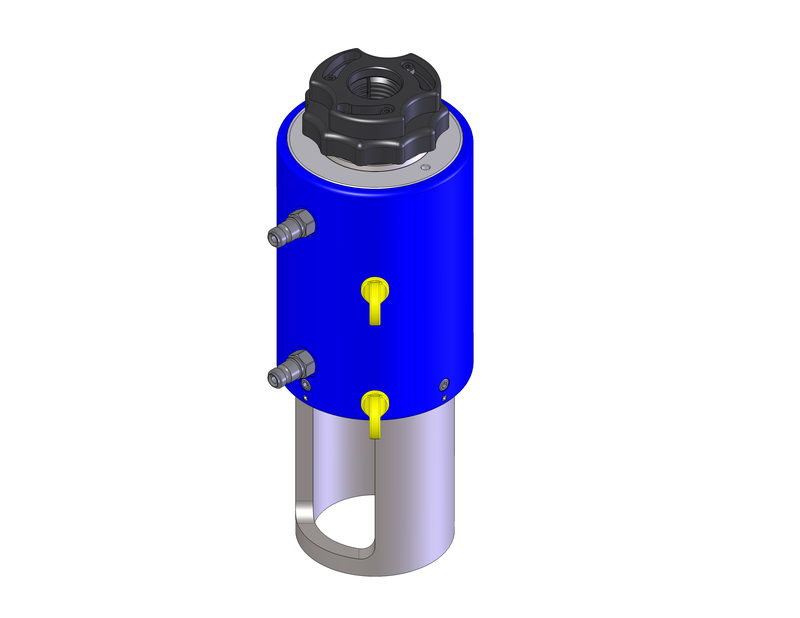 Tri-Nut allows the Tensioner to be removed and installed on the exchanger quickly. Hydraulic cylinders simultaneously compress the plates in such a way that the compression of these plates is carried out evenly and efficiently. Tri-Nut locks into the tool allowing tool to be used in any position.